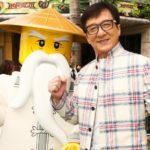 On September 16, Saturday afternoon, the voice cast of The Lego Ninjago Movie were at the Regency Village Theatre for the L.A. premiere of the animated ninja movie. Artists who appeared on the red carpet included Jackie Chan, Dave Franco, Justin Theroux, Olivia Munn, and also Warner Bros. CEO Kevin Tsujihara. 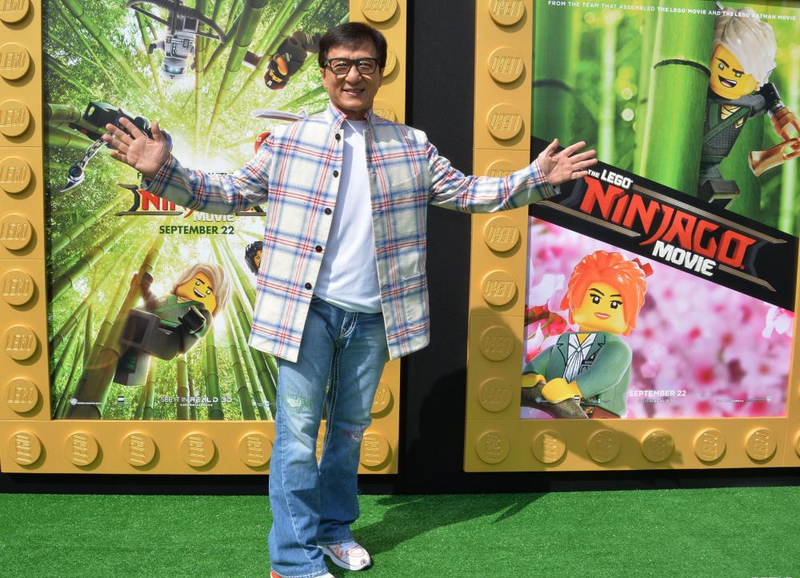 The Lego Ninjago Movie will be in theatres on September 22. 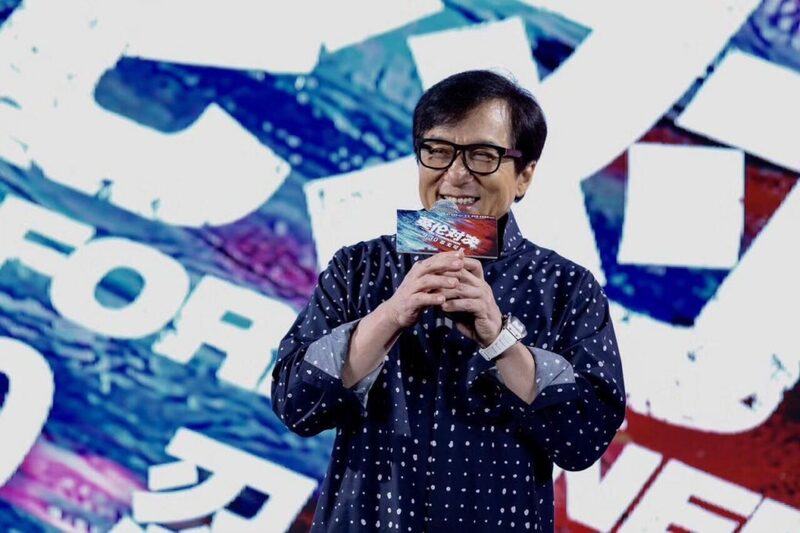 After being away from the singing scene for 15 years, the vocals of Jackie Chan is back and will soon be releasing a new album at the end of the year. 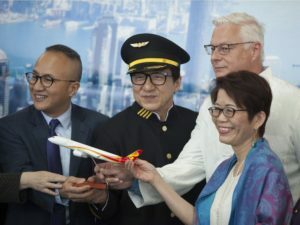 On August 28, which was also the 7th day of the 7th month on the Lunar calendar (or Chinese Valentines Day), Jackie Chan was in Lin Kou filming an MV for one his new songs “Ai Qing Lao Le” (Love is Getting Old), a gift for his wife Lin Feng Jiao. 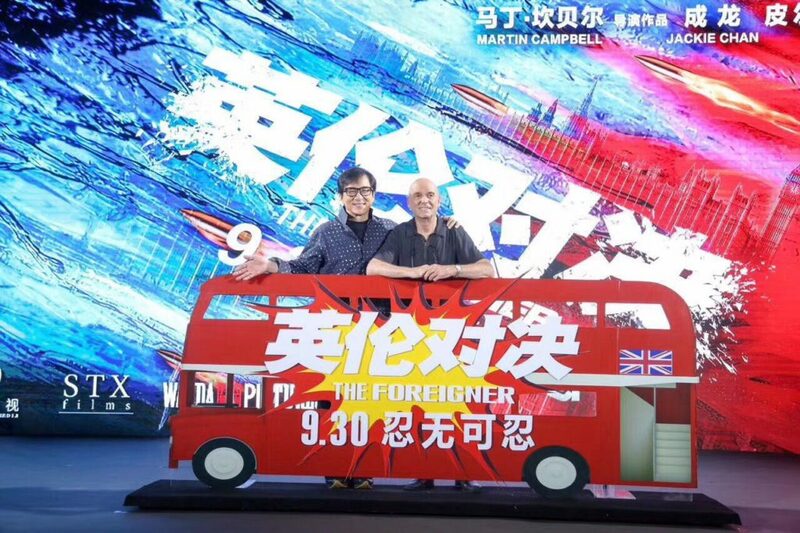 On August 21, Jackie Chan and well-known director Martin Campbell (Golden Eye, Casino Royale, The Mask of Zoro) were in Beijing for the press conference of their upcoming new action movie, The Foreigner. 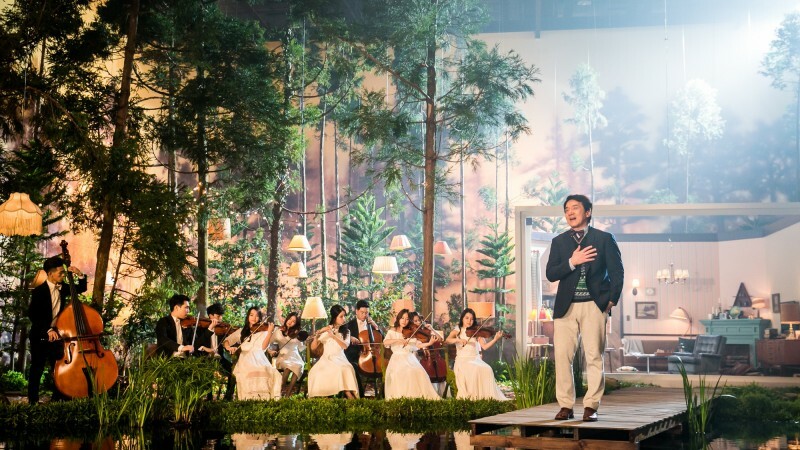 The film will be released in China during the National Day holiday period on September 30. Both Jackie and Martin explained how the majority of the scenes were filmed on location, including the scene of an exploding bus on one of London’s bridge, which took the production crew over 4 months to apply for the permit. With the application approved, the crew only had 4 hours to film the exploding scene. And because they wanted to complete the shot in one take, the crew were at the location 2 weeks beforehand to prepare and ensure that everything went right. 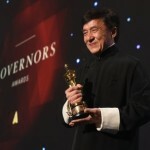 After the press conference, Jackie revealed that while filming The Foreigner in England, he underwent a 5-hour operation for an abdominal injury suffered while filming his previous film. 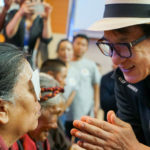 Jackie explained how he first felt abdominal pain, but being an action star, he didn’t think much of it until the pain got worse while filming The Foreigner. After seeing the doctors, they discovered that his abdominal muscle was severely damaged and required an immediate operation, which lasted over 5 hours. 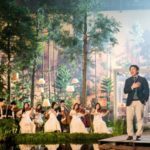 Even though doctors heavily opposed, the day after the operation, Jackie wore a tight bandage around his waist and continued filming. And a week later, he continued doing action sequences. 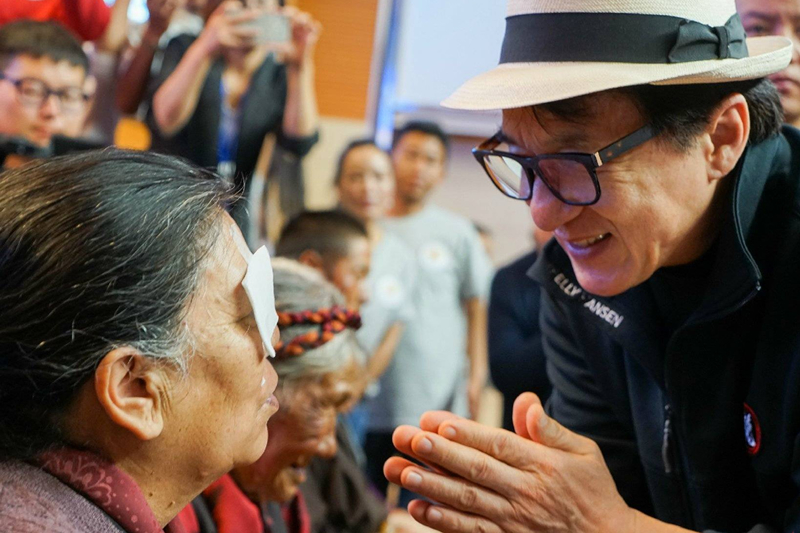 On August 10, Jackie Chan and the Beijing Tongren Ophthalmology Department initiated a “Charity in Tibet” operation, aiming to help the visually impaired in Tibet re-gain vision. 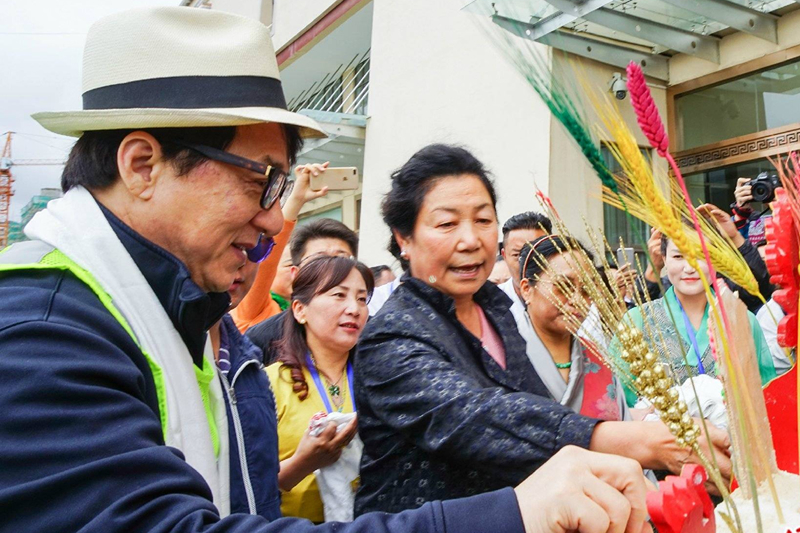 The Jackie Chan Charitable Foundation (Beijing) and the Beijing Tongren Zhang Xiao Lou Ophthalmology Charitable Foundation supported the cause where 55 successful eye operations were recently completed for local residents in Tibet. 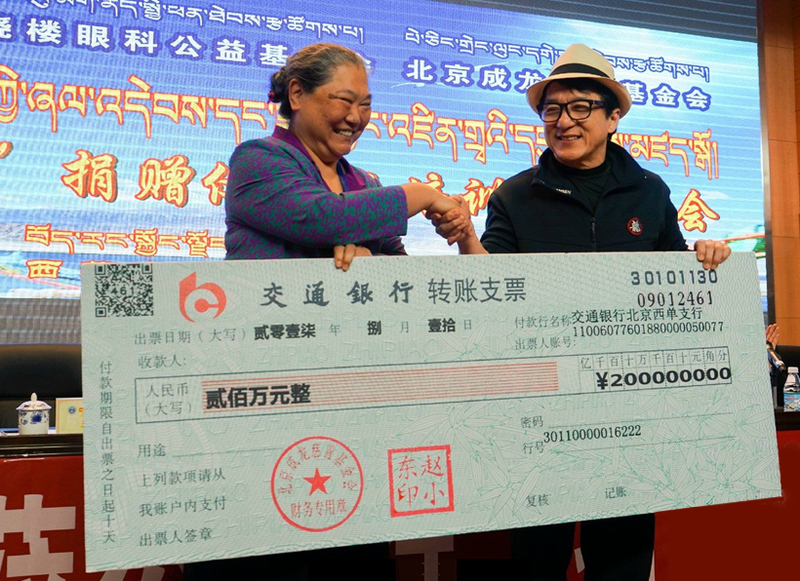 The event was held at Tibet Hospital were Jackie donated RMB$2 million to the Beijing Tongren Ophthalmology Charitable Foundation and also assisted with uncovering patient’s gauze dressings after the event. Because Tibet is geographically located in high altitude, the area is well known for its high rate of cataract. 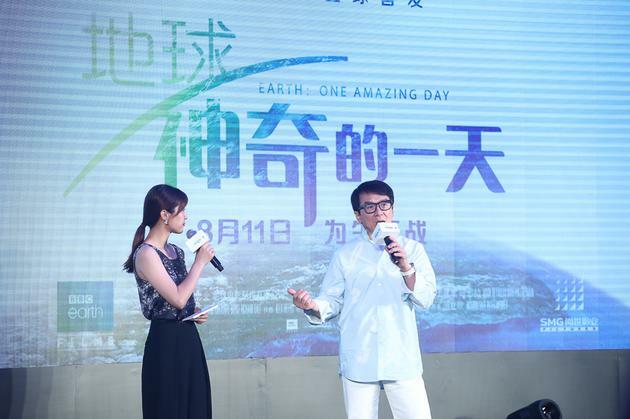 On August 1, 2017, Jackie Chan was in Beijing for the worldwide premier press conference of BBC’s nature documentary Earth: One Amazing Day. 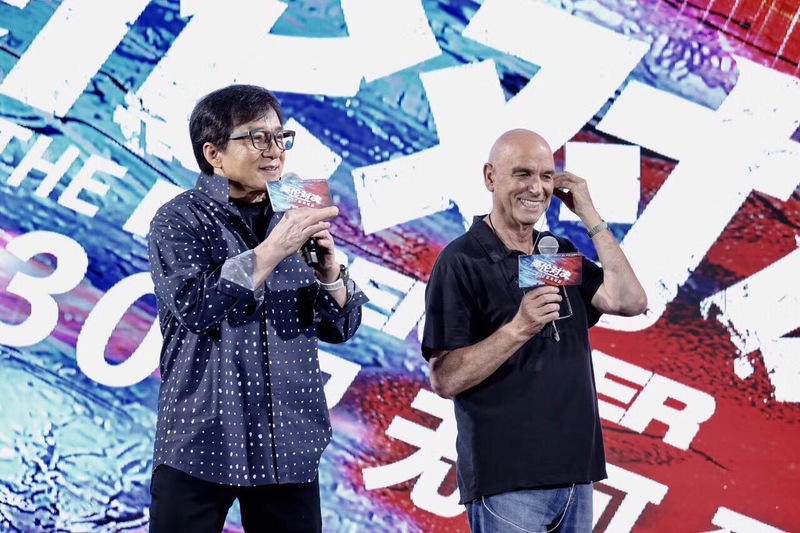 Jackie is the narrator for the Chinese version of the film, and he attended the event alongside director Lixin Fan, BBC producer Stephen McDonogh, and executive producer Neil Nightingale. 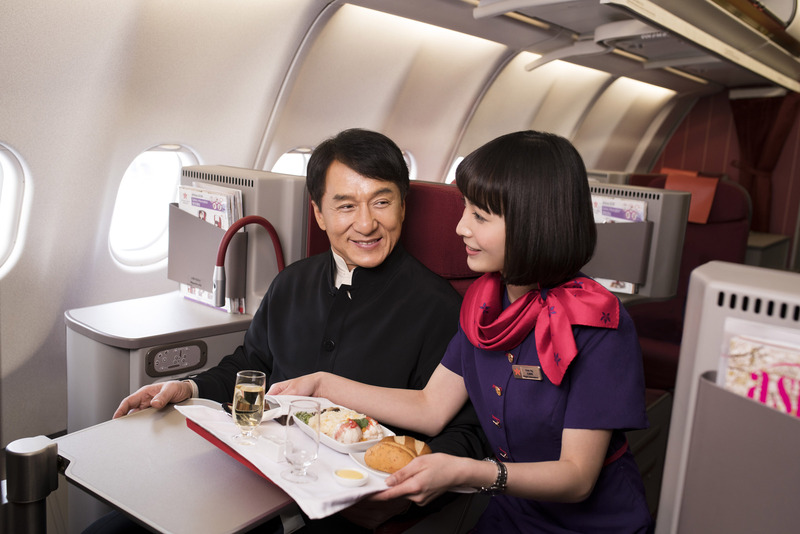 Jackie jokingly described himself as a leopard or eagle when he’s on the set, and like a bear when acting comedy. 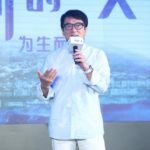 The film will be released worldwide on August 11, 2017, with the first premier screening to be held in China. Jackie Chan was onboard Hong Kong Airline’s first non-stop flight from Hong Kong to Vancouver, arriving at Vancouver International Airport (YVR) on Friday morning (June 30, 2017). As the brand ambassador for Hong Kong Airlines, Jackie hopes to help promote the new daily non-stop service from Hong Kong to Vancouver, the airline’s debut in the North American market. 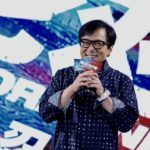 On June 22, 2017, Jackie Chan attended the 20th Shanghai International Film Festival: Jackie Chan Action Movie Week Gala Night at the Shanghai Oriental Arts Centre (SHOAC). 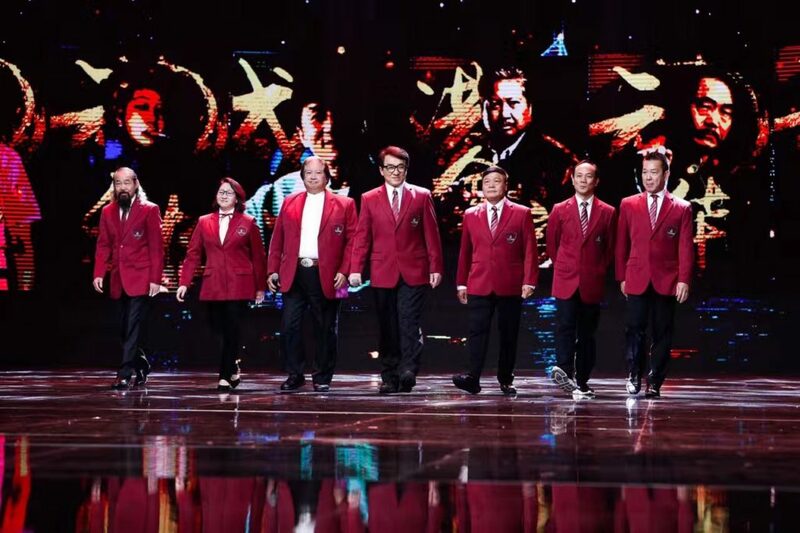 Jackie especially invited members of the original Seven Little Fortunes to attend the event, including martial arts legends Sammo Hung Kam-Bo, Yuen Biao, Yuen Wah and Yuen Qiu. During the ceremony, a special MV of the Seven Little Fortunes and their master, Yu Jim-Yuen, was shown during the ceremony, bringing tears to viewers and the Yuen-Jia-Ban members. 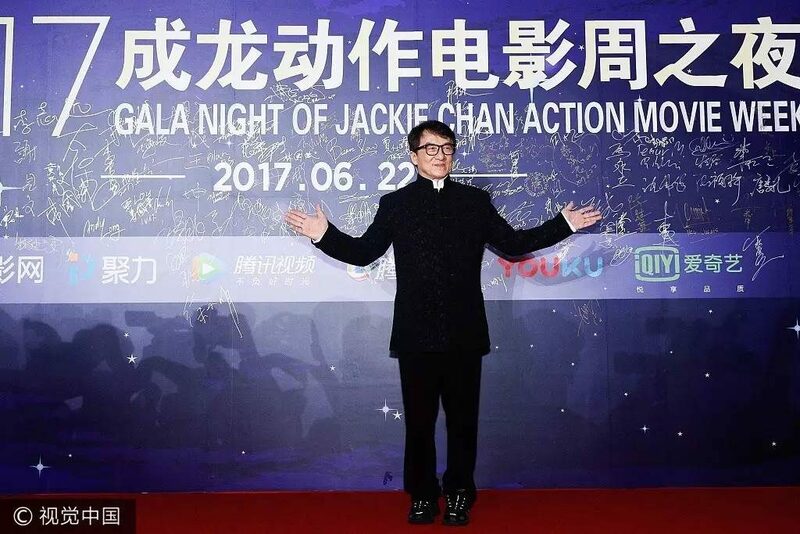 The Jackie Chan Action Movie Week Gala Night is an awards ceremony honouring those who have made outstanding achievements and contributions to action movies. 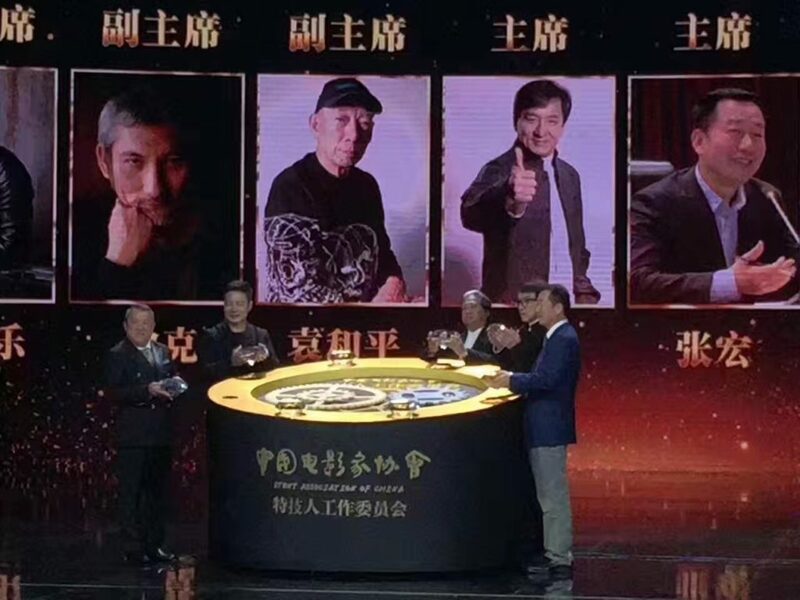 This year being the 3rd year of the Action Movie Week, Jackie Chan’s goal of keeping China’s say in the action movie circle has paid off with the establishment of the China Film Association Stuntmen Committee. 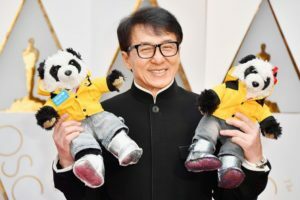 As the president of the association, Jackie shared his thoughts on the reasons behind establishing a stuntmen association in China and described it as a “shelter” for stuntmen to turn to if they are injured or treated unfairly. 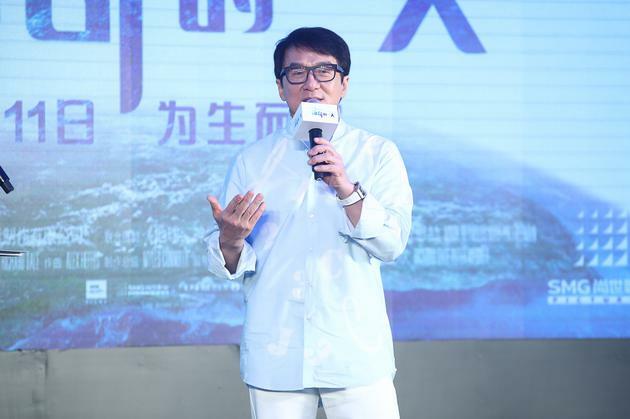 Jackie also mentioned that the reason for establishing the association is for the younger generations. “I don’t need the help of these associations anymore. This is for the young ones. I started this up because of you”, Jackie explained on stage. 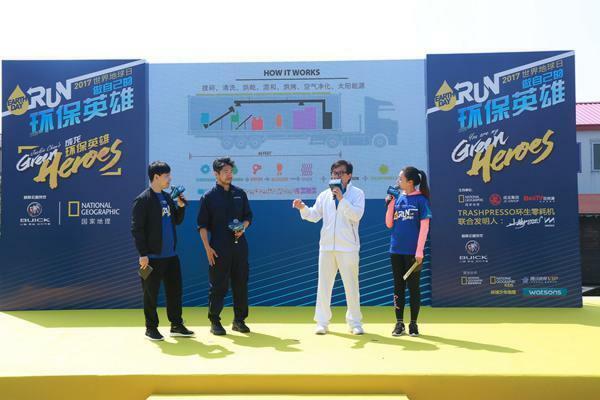 On Saturday April 22, 2017, Jackie Chan was in Shanghai for the 2017 National Geographic Earth Day Run event. 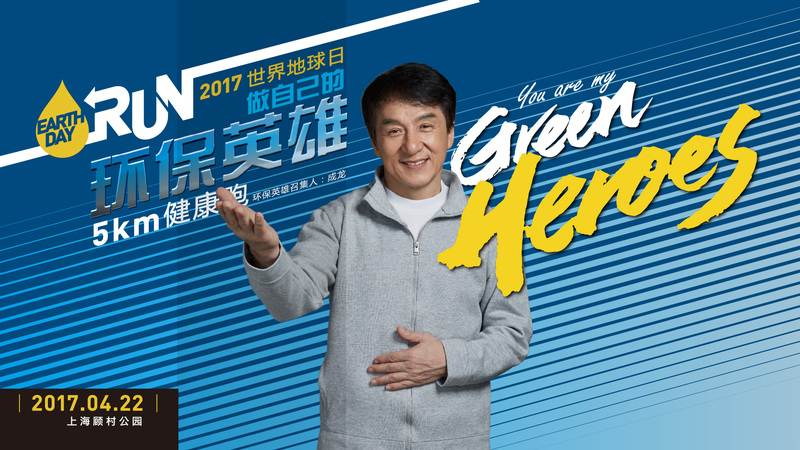 The motto of the event is “You are my Green Heroes”. 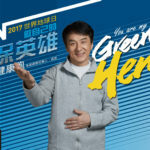 Jackie also announced his upcoming documentary, “Jackie Chan Green Hero” which will start filming this summer and broadcast on the National Geographic Channel in April next year. 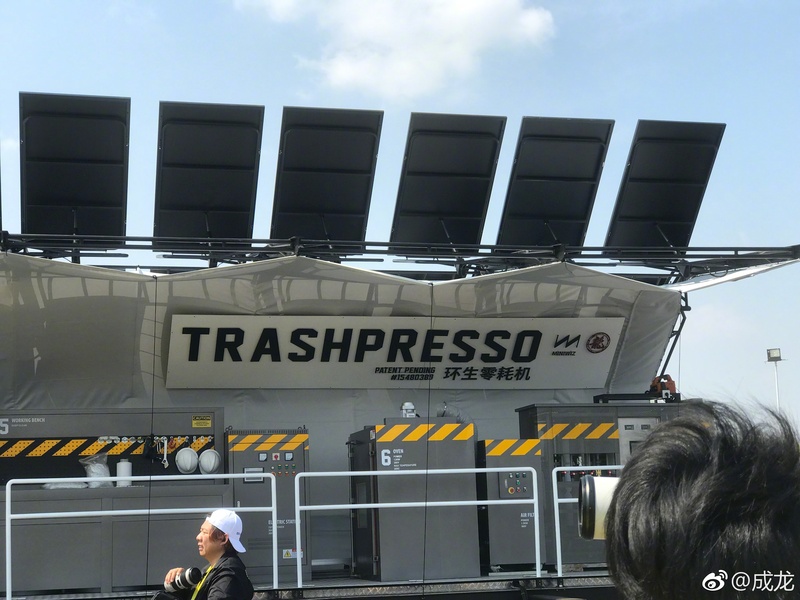 The first part of the documentary will feature a portable trash collection system called “TRASHPRESSO”, invented by Arthur Huang, an engineer from the National Geographic Society of Emerging Explorers. 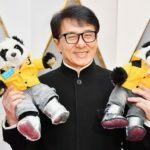 On February 26, 2017, Jackie Chan was in Los Angeles and attended the 89th Annual Academy Awards Ceremony. 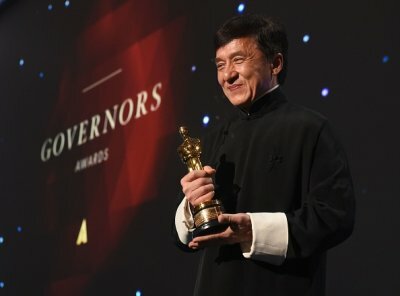 Last year in November, Jackie was awarded an Honorary Oscar Lifetime Achievement Award for his exceptional contributions to the state of motion picture arts and sciences. Jackie appeared on the red carpet with his faithful panda sidekicks, La and Zy. 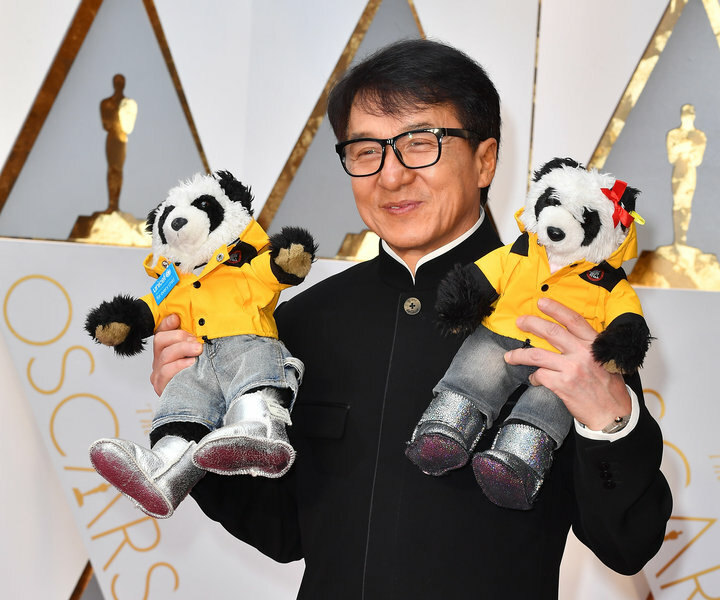 As the Chengdu Panda Goodwill Ambassador, Jackie was proud to have his pandas accompany him on the red carpet.